There are so many pros to having an artificial Christmas tree, that we often overlook one of the most important ways to make an artificial Christmas tree look fresh and new; fluffing. It’s important to fluff the Christmas tree the right way, as many artificial trees may appear ridged and obviously artificial. To create the most realistic looking artificial Christmas tree, take the time to master these Christmas tree fluffing tips! Before beginning to fluff your Christmas tree, first pick a style or look you’ve been yearning to model your Christmas tree after. Hold an inspirational photo (printed or the computer) close by so you can go back and forth to recreating the real thing. Start fluffing your Christmas tree at the bottom. Keep working the same movement up, paying attention to each section of the artificial Christmas tree. 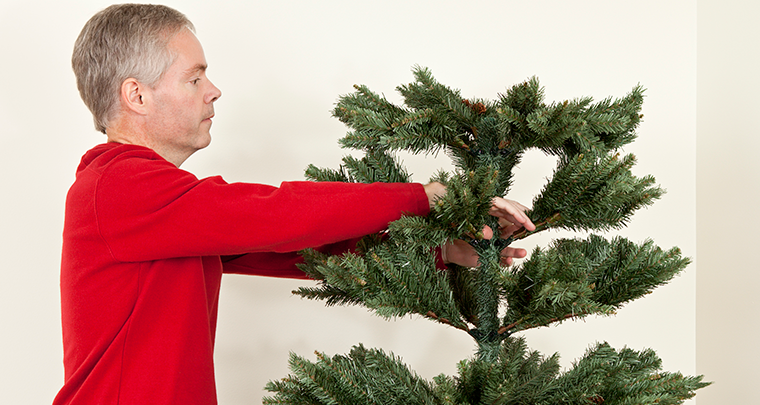 Carefully adjust each section as you and move the branches the way you’d want the tree to fluff. Christmas tree lights not only add festive flourish, but can be particularly useful for filling in empty spaces. 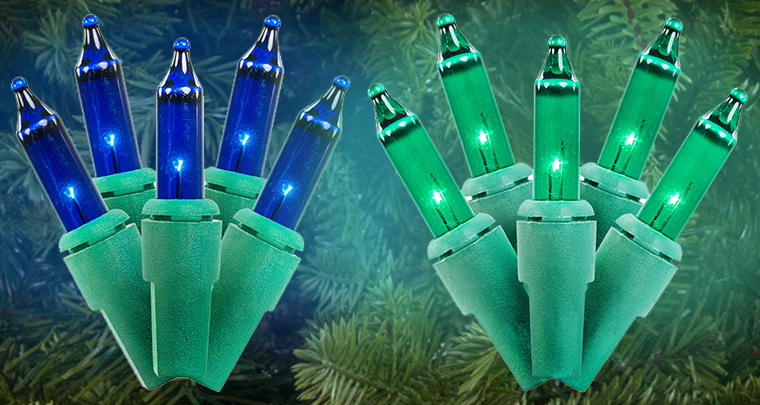 Choose Christmas lights with green wires so they blend in and make the tree even more voluminous-looking. 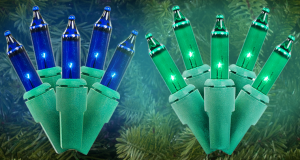 The lights should be a dark color like dark blue colored Christmas tree lights or green Christmas lights as opposed to clear. Also try decorating with green and sparkly Christmas tree ornaments like our green sequin ball ornaments. While you can create a realistic artificial Christmas tree by fluffing with your hands and fingers, nothing beats the natural movement of wind through the leaves. 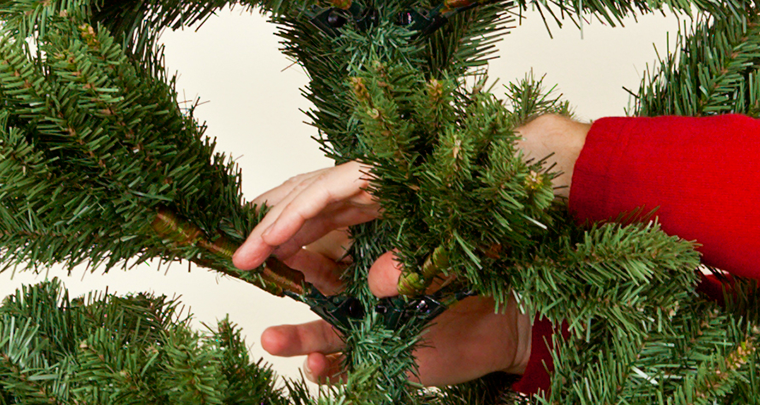 To recreate this effect, while saving physical energy, get a rotating Christmas tree stand to help loosen the branches. 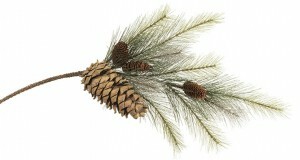 And if all else fails, add a pine spray or two to make your Christmas tree extra fluffy and decorative at the same time!